Niños de Guatemala– Proudly working together since 2014. 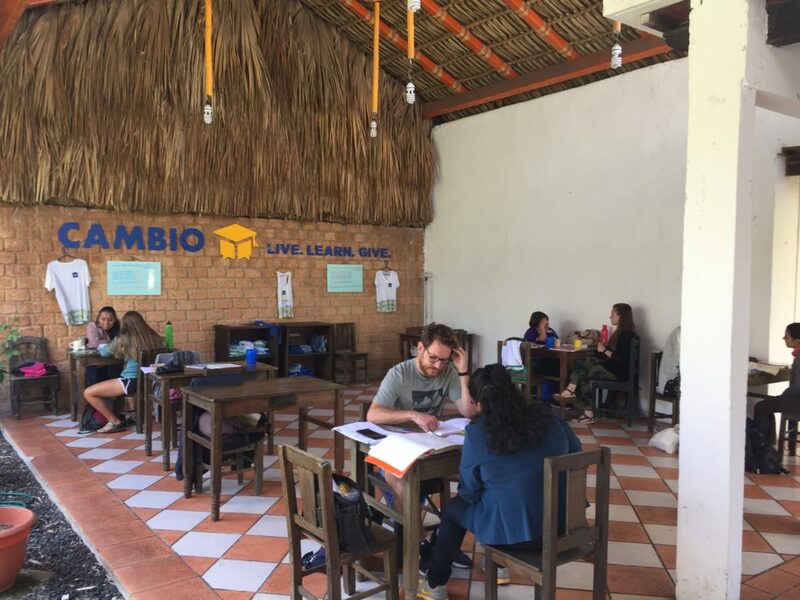 SOS volunteers will have the opportunity to learn or practice their Spanish language skills with the only non profit language school in Antigua, Guatemala; Cambio NDG. Cambio is run by SOS’s partnering organization, Niños de Guatemala. 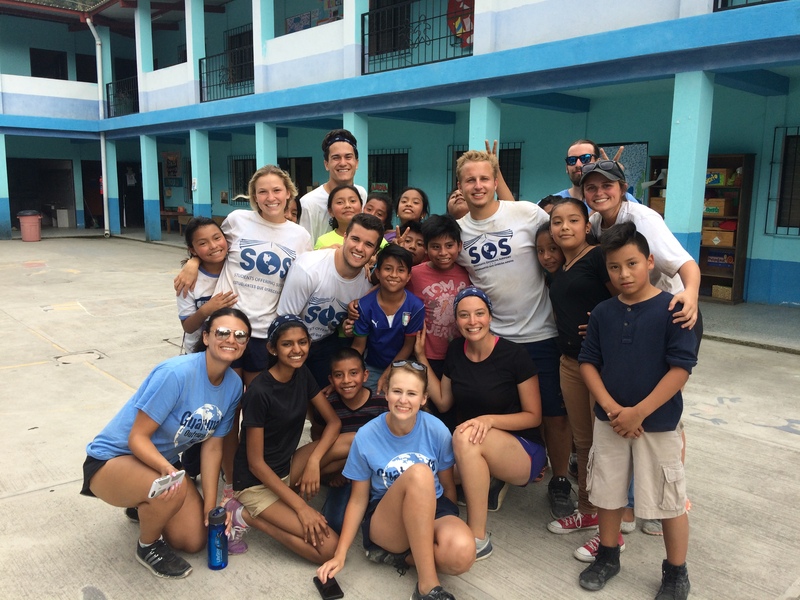 SOS has partnered with Niños de Guatemala since 2014 to fund four different projects -classrooms, a water cistern, a social work classroom, and washrooms- at each of NDG’s schools. During Spanish lessons with Cambio NDG, volunteers will be paired with their personal Spanish teacher based on their Spanish level, goals and learning-style preferences. All Spanish teachers are local Guatemalans who have 10-40 years of experience teaching Spanish to speakers of other languages. In addition to learning the local language, volunteers will be immersed in local culture through conversation and excursions during class. The curriculum incorporate cultural topics such as Guatemalan history, traditions, current events and more as well as visits to prominent places around town like the local market and Parque Central. Through discussions and various activities incorporated into the lessons, volunteers will be able to share their culture with their teacher as well. The lessons will be tailored to the needs of the volunteer, focusing on their level of proficiency. Volunteers will also have the opportunity to practice their Spanish through volunteering at one of NDG’s 3 schools, located only minutes from Antigua. All volunteers will get to experience daily life in Guatemala and gain insight into the culture, society and educational system. By being paired individually or in small groups to volunteer in a specific classroom, volunteers will have the opportunity to get to know the children and class teacher. This be the great opportunity to learn or practice their Spanish, as well as share their English, enhancing the cross-cultural learning, in a hands-on way. Volunteers will stay in a homestay where they will enjoy meals and conversation with a local family. NDG’s local families all have 10 or more years experience hosting international visitors and love sharing the Guatemalan culture and language with their guests. In additional to experiencing local cuisine, volunteers will be immersed in Guatemalan family life and Spanish conversation. During meal time conversations and evening leisure, volunteers will experience cultural exchange with their host families. Additional cultural immersion will be experienced during the Experience Guatemala Tours. The tours consist of off-the-beaten-path excursions to local non-tourist towns and traditional culinary and artisan workshops. Volunteers can participate in making traditional handicrafts, prepare and taste local cuisine, meeting local artisans and entrepreneurs and visit important local industries, giving them insight into the daily lives of the Guatemalan people. The specific itinerary will be shared closer to the date of departure, however 2 days will be spent travelling from and to Canada, 10 days will be spent in Language School and volunteering in the community, and 2 days will be spent on Rest Days. During Rest Days, Niños de Guatemala will lead the group on a two-day Lake Atitlán Tour to discover the beautiful nature and the history of the ancient Mayan community. Volunteers will visit the remainders of the last capital of the Kakchiquel kingdom at Iximche; take in the overwhelming sights and relax alongside Lake Atitlán; and experience Mayan culture by visiting four very distinct Mayan villages found on the banks of the lake. Many visitors regard Lake Atitlán as the most beautiful lake they have ever seen, or possibly even the most beautiful site all together.